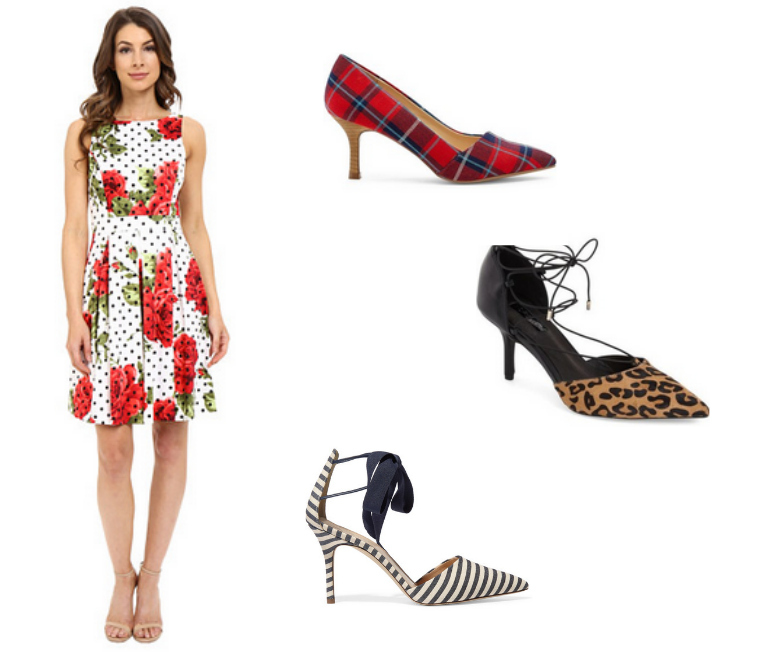 I think too many young professionals shy away from prints when it comes to choosing items to wear to work. 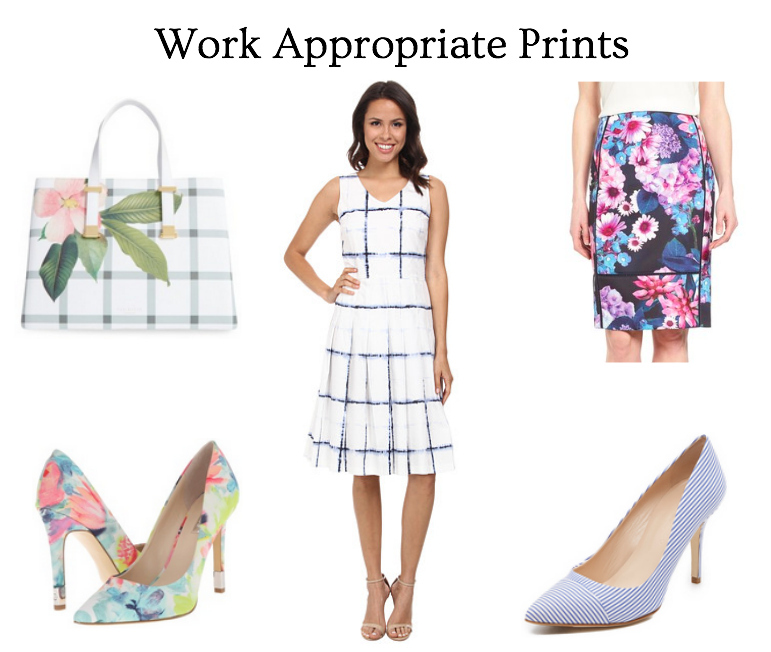 Prints can be challenging, for sure, but done correctly they can look great in your wear to work wardrobe! I particularly like adding prints in my accessories – my shoes & handbags. These are my favorite “printed items” available right now. What I like about all of the items here is that they easily mix into your existing wardrobe. The dresses are stand alone pieces, while the shoes, handbag & skirt pair easily with work wear basics. I’ve had a really fun week so far- and I have definitely indulged in some shopping! For non-work days I picked up a pair of denim short overalls and oh-my-gosh I never want to take them off. They are so comfortable and super nostalgia inducing. Pretty sure the last time I wore overalls I was 9 haha. You can see a pic of the overalls on my instagram if you want to check them out! I Hope your work week is going well so far! "How to Style a Sleeveless Blazer"
That windowpane dress is so pretty! Such a great pattern for spring in my opinion! I love prints and will take all of this!! !